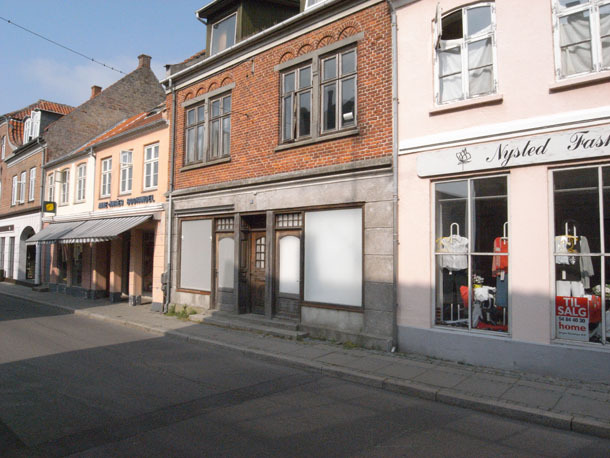 We were invited to do a site specific and semi-permanent commission as part of the group show Nysted Insitu, in the small Danish town Nysted. 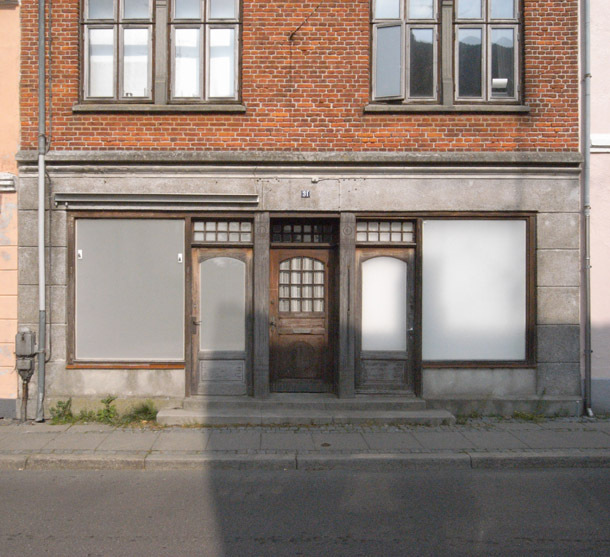 One key characterization of Danish provincial towns today and Nysted in particular is empty vacant shops. 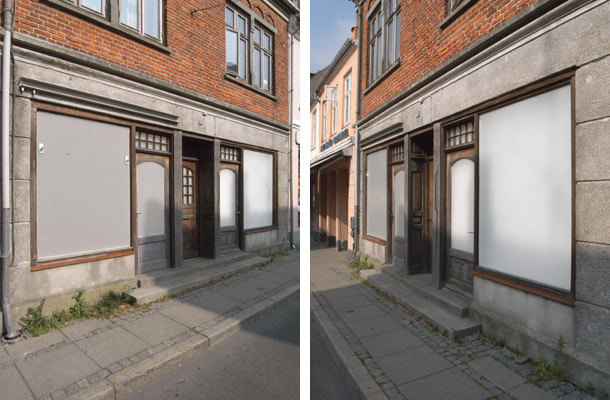 The work Two Shops is dealing with this characterization by exposing the void and the windows of two identical vacant shops in the main street of Nysted. The doors leading into the shops are permanently locked. The interior floor, walls, and ceiling of the shop to the left is covered with white mdf boards. 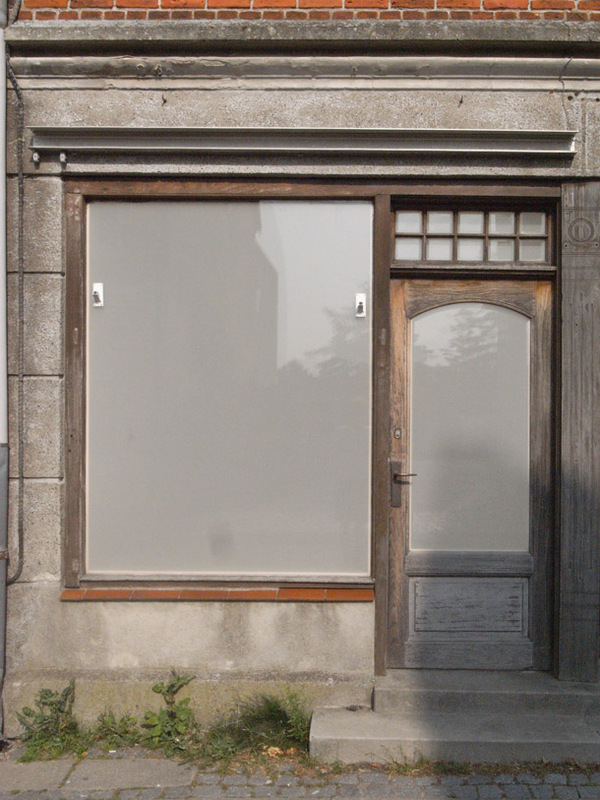 The interior of the shop to the right has up front white mdf boards in all inside window frames. 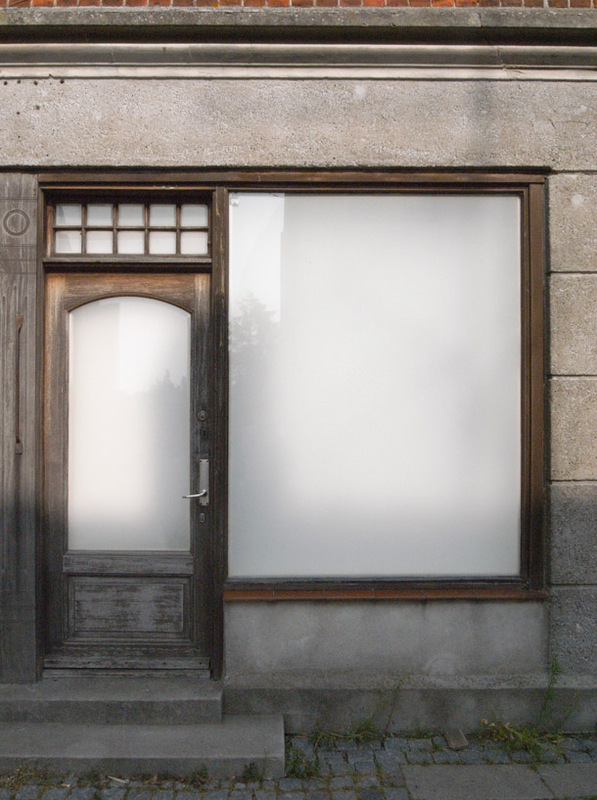 All visible windows of the two shops are covered with translucent acrylic boards. The acrylic boards refract the light (natural sun light, artificial or a combination) that naturally shines through it and throw it into the interior spaces behind. Not being able to see the different interior spaces of the two shops, the viewer perceives a reflection/projection of its volume in the acrylic in the form of a two dimensional, vibrant, monochrome spatial surface. 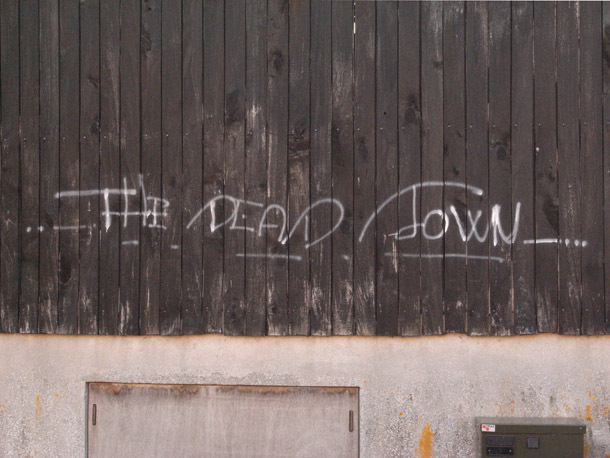 Graffiti "The dead town" found on the wall of a shut down lumberyard in Nysted.